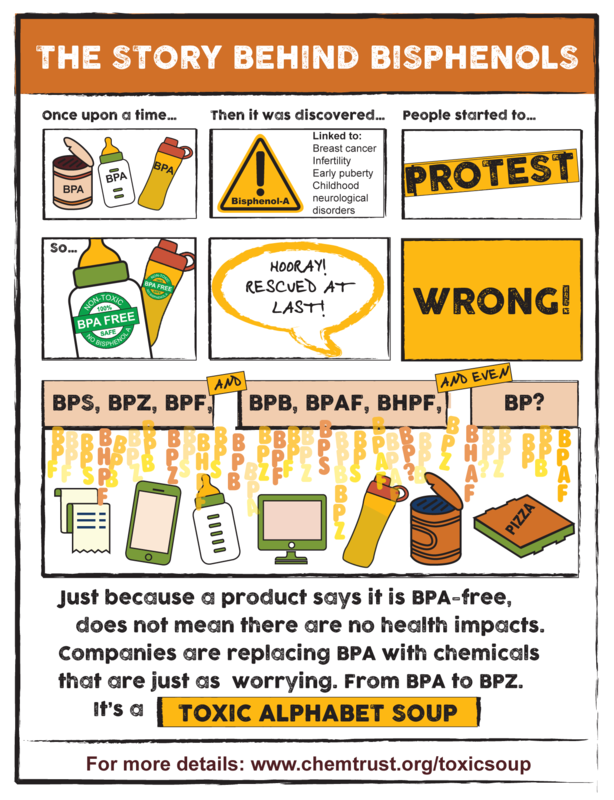 CHEM Trust tells story behind Bisphenols: From BPA to BPZ, a toxic soup? A new report “From BPA to BPZ: a toxic soup? How companies switch from a known hazardous chemical to one with similar properties, and how regulators could stop them”, published by EDC-Free Europe campaign partner CHEM Trust, highlights how industry is being allowed to replace the well-known hormone disrupting chemical bisphenol A (BPA), with very similar chemicals that may also be harmful. BPA is a chemical that has been used in thermal paper till receipts, polycarbonate water bottles, and food can linings. It’s also a common contaminant of house dust. It was first found to be able to mimic the female hormone in the 1930s and in recent years there has been more and more evidence of its potentialimpact on health, including increased risk of breast cancer, impaired sperm counts, impacts on diabetes and obesity, and hyperactivity in children. The full Toxic Soup report is available here, the Toxic Soup summary report is available here. 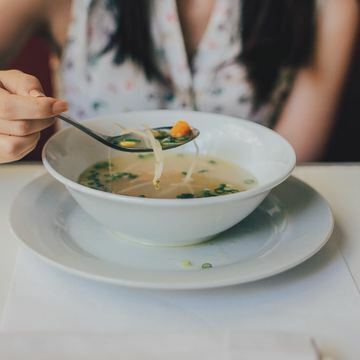 Du BPA au BPZ : une soupe toxique ? Del BPA a BPZ: ¿una sopa tóxica?